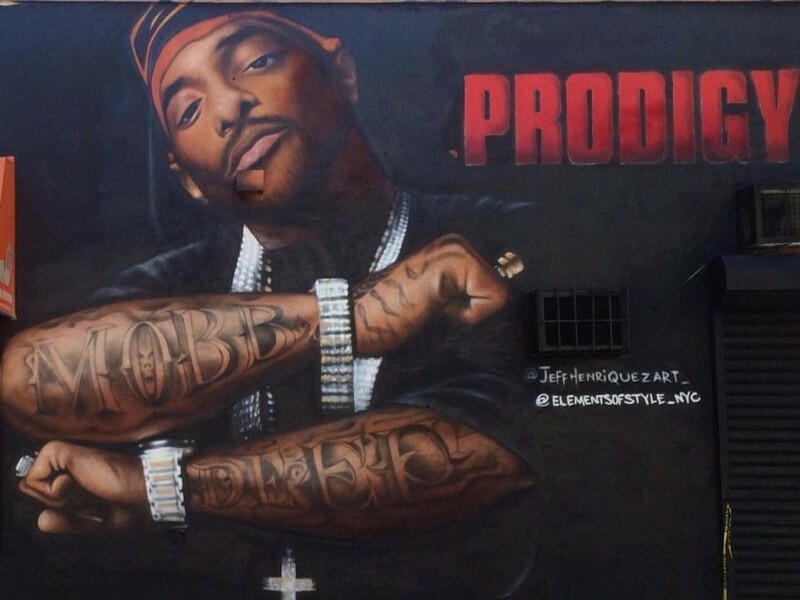 The mural was painted on the wall of the Urban Upbound building on 13th Street and 40th Avenue, across the street from the Queensbridge Houses in New York City where Prodigy spent part of his youth. Artists Jeff Henriquez and Eli “Eli Eos” Lazare, who created the mural over a course of five days, have yet to react on social media, but many others have taken time to express their outrage at the blatant vandalism. It’s unclear if the NYPD is investigating it as a crime. Prodigy passed away at the age of 42 in Las Vegas last month after complications with sickle cell anemia, a condition he’d fought his entire life.